Home » Blog » What Constitutes Good Reason to Depart Downwards from a Costs Budget? Posted by Michelle Barron on 17th January, 2019 in Opinion and categorised in . It has been over 18 months since the case of Harrison v University Hospitals Coventry & Warwickshire NHS Trust determined how cases which are subject to costs management are dealt with at Detailed Assessment. Primarily, the case confirmed that the Costs Judge would not depart, either upwards or downwards, from the allowances provided at the CCMC for anticipated costs unless satisfied that there was good reason to do so. However, the case deliberately provided little guidance as to what actually constituted ‘good reason’. Over the past 18 months there have been a number of SCCO decisions in which the issue of departing downwards from a Costs Budget has been determined. The first cases dealt with the issue of whether a reduction in the hourly rates for the incurred costs amounted to a ‘good reason’ to depart from the budgeted costs. In RNB v London Borough of Newham Master Campbell ruled that it did. Master Campbell also accepted the contention that it was only on assessment that a paying party had the opportunity to challenge the rate and that this also represented a ‘good reason’ to depart. However, since then there have been a number of cases where the opposite view was held. In the cases of Bains v Royal Wolverhampton NHS Trust and Nash v Ministry of Defence, District Judge Lumb and Master Nagalingam respectively maintained that a reduction in the hourly rates for budgeted costs would be second guessing the thought process of the costs managing judge and would expose the receiving parties to double jeopardy in the Detailed Assessment. Both referred to setting a ‘high bar’ with respect to what constituted ‘good reason’. All of these decisions represent first instance decisions and whilst RNB was later appealed, the case settled before the matter was due to be heard in the High Court. Subsequently, the case of Jallow v Ministry of Defence further touched on the issue of hourly rates and also provided a decision of an additional potential reason to depart, that of overvaluation. With respect to hourly rates, Master Rowley, whilst expressing concern at the lack of court scrutiny of the hourly rates at the Detailed Assessment stage, maintained the position held in both Bains and Nash acknowledging the aims of costs management in keeping Detailed Assessments shorter. When it came to the case for overvaluation the budget was approved at the CCMC in the sum of £120,000.00, set on the basis of the pleaded claim being worth within the region of £300,000.00. The case ultimately settled in the sum of £90,000.00 shortly before the trial and the Claimant commenced Detailed Assessment proceedings serving a Bill of Costs seeking £188,085.02 inclusive of additional liabilities. The Defendant argued that the reduction in damages was a good reason to depart from the budget and that if the ‘true’ value of the claim, with the pleaded value of the case having been disputed at the time, had been known, that the budget would have been approved at a much lower figure at the CCMC. Master Rowley, following the principles laid down in Lownds v Home Office, maintained that it could only be considered that the budget had been approved on a false premise if the claim had been exaggerated in some way and that the Claimant could not have reasonably believed that his claim was worth the sum pleaded. Master Rowley determined that the Claimant did not exaggerate his claim and had put forward alternative cases as to quantum which demonstrated that he was alive to the issues surrounding potential level of damages. As such, the ultimate settlement did not falsify in any way the premise of setting a budget in a case where the sums in issue were £300,000.00. In essence, following Harrison, the guidance that has been provided to date has primarily determined what isn’t a good reason to depart downwards. Although these are first instance decisions, the prevailing view appears to be that the good reason test comes with a high threshold to pass with reference being made to the case of Harrison deliberately leaving the test wide so as to not to fetter the assessing judge’s discretion and allow good reason to be determined on a case-specific basis, rather than generic blanket reductions such as hourly rates which would ultimately lead to good reason being found in a significant proportion of the cases heard at Detailed Assessment. One would assume that case-specific reasons would primarily relate to a party having not utilised a specific part of their budget, but still being at or close to the limit of their allowance within their Bill of Costs. For example, at the CCMC the Claimant is granted a total allowance of £15,000.00 in budgeted costs for their Experts Reports phase, which includes obtaining evidence from experts in five disciplines to include Part 35 Questions and Joint Statements. The case settles after evidence from just one expert being obtained yet the Claimant’s Bill of Costs presented includes costs totalling £14,500.00 for the Experts Reports phase. Whilst this is an extreme example, it would likely have to be fairly exceptional to circumvent the view that once a Costs Budget is set it is at the party’s election as to how the phase total is spent. Ultimately, a higher court decision on the issue would certainly be welcomed and provide much needed clarity going forward. Until then, parties will need to proceed on the presumption that if good reason is going to be found to depart downwards it is likely going to be on the basis of a case-specific and exceptional scenario. This article was written by Nick Bailey who brings to the Truro office his extensive experience in costs, acting for both Claimants and Defendants dealing with complex, high-value claims. 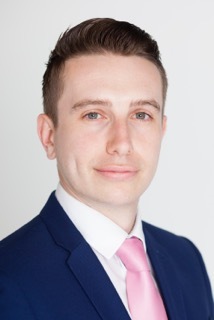 He has particular expertise in personal injury cases, including industrial disease and clinical negligence along with substantial experience across a broad spectrum of areas, including commercial and professional disputes, Court of Protection and family legal aid.